Fash confession... My obsession with pleats is getting slightly out of hand. The delicate detail has been on my radar for quite sometime and I can't help but rummage the racks for more pieces every time I go on a spree. During my latest shopping trip, I stumbled across this easy breezy pleated BCBG Max Azria dress at Macy's and obviously had to add it to my growing collection. I concealed the strappy low cut top with one of my favorite denim jackets and accessorized the look with my newest unique accessories from Chloe + Isabel. 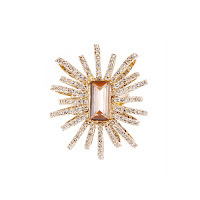 I recently discovered this amazing jewelry company through my friend Aditi and have become utterly obsessed. 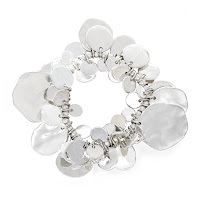 Chloe + Isabel has been featured in numerous fashion magazines, like Lucky and Glamour, since it launched in early 2011 and was even mentioned by Forbes and The Wall Street Journal. Now that everyone is buzzing about the brand, it's time for all of us to as well! My new gold cuff and oversized cocktail ring perfectly compliment the hues in my pleated color block dress. For more fabulous jewelry follow Aditi's Chloe + Isabel Facebook fan page here, and her official site here. Click the pictures below to shop my favorite pieces! Absolutely adore your coral-inspired cuff. Totally divine! Love your dress! It's really beautiful! 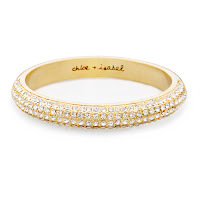 Didn't know Chloe + Isabel, I'm going to check out their stuff!!! That ring is amazing!!!! I love this dress too, I am obsessed with pleats as well! You rock that branch cuff so well! <3 the dress, and the wind is PERFECT! I love the combination of the skirt with the denim jacket. Gorgeous pictures! omg, this outfit is amazing. You look gorgeous, Anna. Love the accessories. i'm completely in love with this outfit!! Simply perfect and that gold coral cuff is absolutely amazing!! beautifull look dear! Love this skirt! Gorgeous skirt - love the colour way and the stripes, so cute & fun..! Anna, this outfit is fabulous. I love the jean jacket and strapy shoes. I haven't heart of this company before, but I'm excited to check out their pieces. LOVE the ring. You look beautiful! Looove the outfit! Hey ladies! You can shop my online Chloe + Isabel boutique via the links Anna provided and until the end of the day tomorrow, the 4th of July, we are doing FREE shipping for all orders with code JULY4SHIPPING - this is the perfect time to get a great piece from Chloe + Isabel! dying over this outfit. You never disappoint. Anna, that birdcage cuff is amaze balls. You look incredibly stylish and fierce in this post. Get it girl. This skirt and jacket combo is all kinds of fabulous. In love with the ring! That skirt is so cute and I love your accesories! I love BCBGMaxAzria dresses so naturally I had to click on the link to check out the entire dress. Love the details in the straps as well as the pleats. PS. 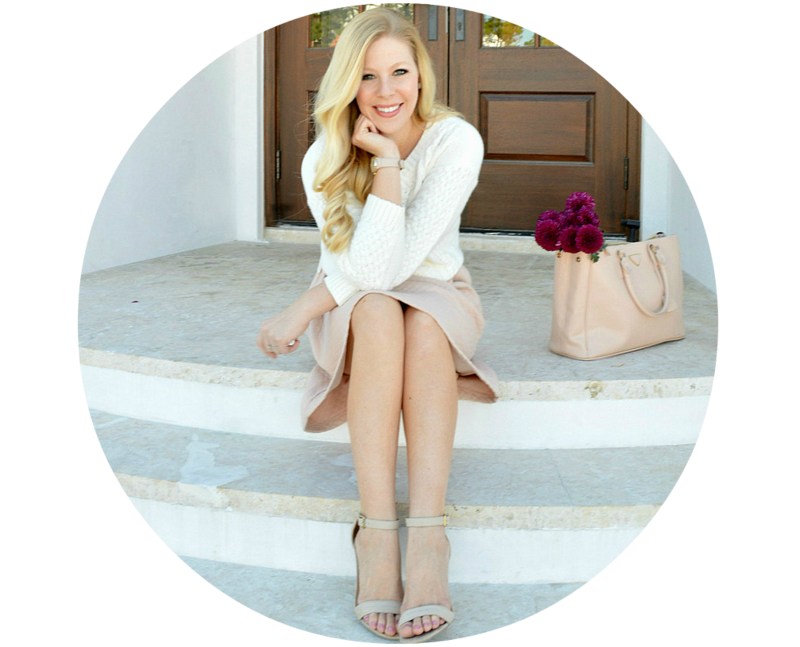 I think you and your husband make a great duo with the blog I am always impressed with the photography, scouting of locations and particularly the detailed shots. Please pass the word along to him on how great a job he does as the photographer of your blog!! that cuff is insanely beautiful! and on a side note- marriage suits you very well :) you're such a beautiful girl to begin with, but I've noticed that you've looked even more radiant and gorgeous since you tied the knot! wow, I really like this outfit! lady you look great! the dress is fabulous and so is the jewelry - what a great find with chloe+isabel. sidenote: i love it when you use this location, such a beautiful backdrop. Gorgeous outfit! Lovely photos as always. Beautiful look & you are gorgeous :) lets follow each other? I also adore pleats! That gold cuff is so gorgeous too lovely!! Love the skirt and those lovely jewelleries! I hope you like my blogposttodaybon the 4th of July! Happy 4th of July! adore the outfit, I love throwing on a denim jacket with a dress or skirt! the pick are absolutely beautiful and your skirt is so pretty! I follow!! I love your skirt! perfect combination with denim ! Beautiful photos & lovely combo, the dress/skirt + denim jacket is a must for summer. love this look! i love a jean jacket over a dress, so easy! wonderful outfit :) the skirts suits you so well, dear! Wow!!!! !I love your bracelet Anna. Love the cuff! Might have to pick up a piece for myself! This look is so fun! I love the pleated skirt and denim jacket combo...so pretty! Obsession or not, that is one gorgeous dress!! Loving the dresses at BCBG this season! absolutely gorgeous pictures! i love the dress- such pretty colors. Love these pictures, and I have this exact jean jacket! You look so cute! I love the denim jacket with it! Love the color blocking on this dress. You look fantastic! This whole outfit is so cute!! love it! I adore this dress Anna, love pleats too! Gorgeous dress! I love pleats too, they are just so girly and sweet. LOVE that ring, your accessories are always so fun. The light weight dress would be perfect for all the hot weather we are having. LOVE the ring! amazing jacket and unique skirt!! love it so much!! Love this look! My latest post is my favorite knit maxi shirt/jean jacket combo as well! It's such a comfy, perfect summer look. That is the perfect denim jacket - love it! girl...i feel ya on the pleats obsession! i can't seem to get enough either! i clicked on the dress and am in love with the strappy back! SO cute! So pretty FAB there Anna.....still cant find that pleated soulmate..haha! 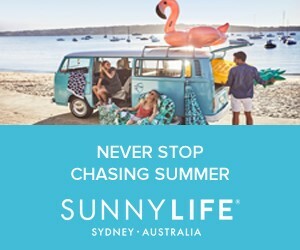 Your sunnies are the best!! love this paired with the jean jacket - so casual chic!! LOVE this BCBG Dress! Looks great mixed with the denim jacket! I don't think your accessory picks could be anymore perfect. 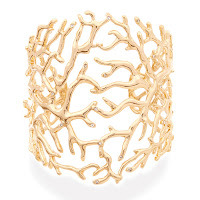 LOVE that coral branch cuff. You look stunning in these photos, as always! Love that dress! The colors on it are great. I am definitely going to check out that jewelry collection...I desperately need to get some good bracelets and start wearing them again. My arms have been bare for far too long. 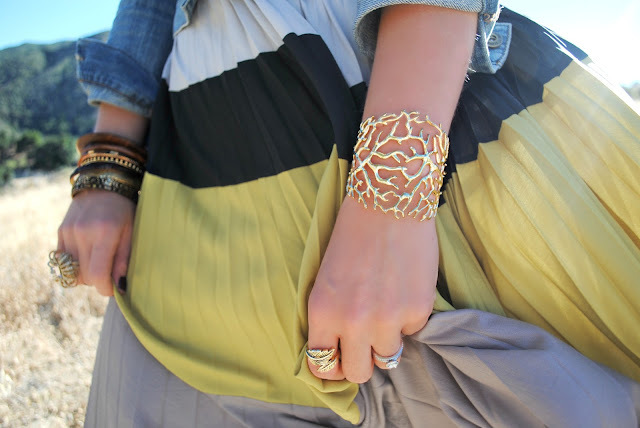 truly love the skirt and the cuff/bracelet! Love that gold bracelet, so intricate and pretty! Great dress too! This is such a gorgeous outfit! That skirt is too perfect and love it paired with your jean jacket! I love your outfit. The jewelry is so cute :) Perfet for summer. Gorgeous, as always, and I am IN LOVE with that cocktail ring! Love this outfit. I have been loving the buttoned denim jacket look! And can I just say that these pictures are gorgeous! The cuff is so pretty! I love the mountains in the background! I love colors of your outfit! Love this outfit, especially with the jean jacket. Fabulous combo! Wow you look gorgeous! Love the jean jacket!! Anna, you look gorgeous. I love everything about this look. Gorgeous skirt! Really amazing look! Great outfit! I love C+I jewelry! One of the girls who founded the company is from my home town and friends with one of my relatives. They have such great pieces! I love the outfit! Especially the denim jacket. The only time anyone in Texas would be able to wear that is in the winter. It's way too hot here for that. =( sooo sad. Great jewelry too! WOW!!! Really nice!! A big kiss from Spain!! What a great dress and love it with the denim jacket! i`m loving pleats lately too! so ladylike and delicate while still making a statement. great outfit! Obsessed by the bracelet that looks like branches! Such a cute look! I'm obsessed with pleats as well! I really like how you added the denim jacket for skirt look! obsessed with this dress and how you styled it! it needs to be added to my closet like pronto! I am freaking out over this entire ensemble!!! It is AMAZING! That dress is perfect, especially with a denim jacket over the top. Your accessories are fab also. I absolutely love this dress, and great denim jacket, too! LOVE this outfit! love how the jacket towns it down a bit, making it more casual. 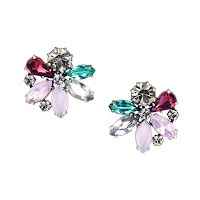 and gorgeous accessories! Loving that skirt:) So chic! You are amazing, I really admire your style and your blog! Burma's democratic leader arrived isabel marant sneaker in Paris Tuesday on the final leg of her European tour. At a Baskets Isabel Marantjoint press conference with Mr. Hollande, Aung San Suu Kyi said her country needs investment to revive its economy, but she said growth should not isabel marant boots come at the expense of democratic reforms. Her two-week tour isabel marant online of Europe has also included Isabel Marant shoes stops in Britain, Switzerland, Ireland and Norway. you look gorgeous! I love your skirt - the shape and color suits you perfectly. and thank you for sharing this awesome jewelry brand! I already love them! I´ll invite you to visit the bracelets that I design. Love that skirt & your accessories! Such pretty pictures, you look beautiful!! I also love your collection of accessories! 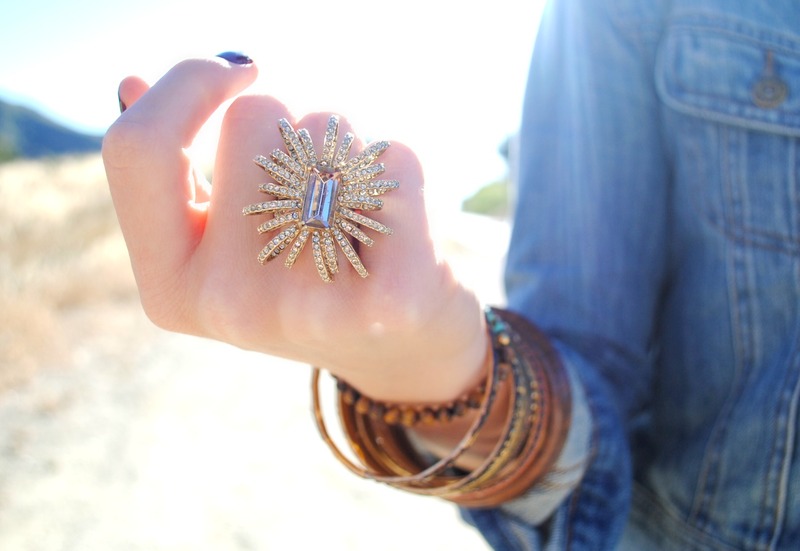 Amazing accessories and denim jacket! The dress is so cute and summer perfect. I fell in love with these!! !you look amazing and your skirt is just so beautiful!! Pleats are gorgeous!! Really like the one you are wearing. Haven't found the right one for me yet! 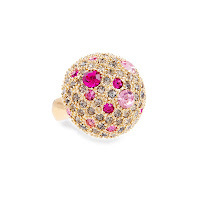 That ring is unbelievably gorgeous...heading over to shop right now! Love your pleats...don't mind the obsession since they look so fab on you! Major jewelry collection! Love it! The dress and the cuff are to die for! Love! I am a new blogger and am trying to figure out how to get my layout ... well.... to be frank ADORABLE.... any suggestions would be so appreciated. From one fashionista to another. By the way the way your outfits are A++. Loving that dress fab colors! LOVE that dress paired with the jean jacket! super pretty and laid back at the same time. I love this look! There's nothing better than a little jean jacket with a great flowey skirt! Amazing outfit! I love the denim paired with the pleats, such a perfect combination for summer. And that bracelet is too cute! This dress looks amazing with denim jacket! And you completed this outfit with perfect accessories! This is an amazing look! and that ring is so FAB! I am obsessed with pleats as well. I really love the pairing with the jean jacket. I love your style! You're so pretty! Gorgeous. So fun & flirty! I love this look and the colors of the dress, so pretty! I am always a fan of the jean jacket + dress combo in the summer. And this particular dress is gorgeous! Lovely post.